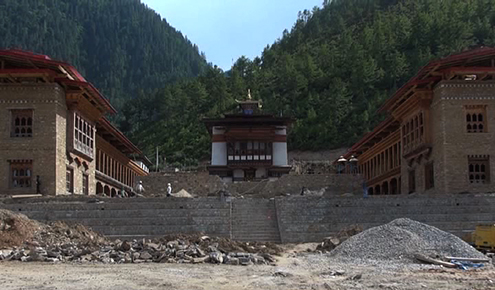 The project engineer of the Lhakhang Karpo corruption case was sentenced to a total of two years and six months prison term by the Haa District Court, yesterday. Project engineer, Tashi Gyeltshen was found guilty of colluding, soliciting, and accepting Samsung Galaxy phone worth Nu 33,500 as bribe from a shopkeeper in Paro. Meanwhile, various opinions are being expressed on social media regarding the Lhakhang Karpo case verdict where the Foreign minister and Project Manager were acquitted. The Haa district court passed the verdict on Tuesday. As soon as the verdict was out, the comments started pouring in, some questioning the fairness of the verdict. Other comments questioned the thoroughness of the investigation conducted by the Anti-Corruption Commission. Some other social media users wondered how well the Office of the Attorney General prepared the case. I guessed the verdict the moment I read Kuensel/BBSC article where the Haa Judge stated that they had carried out their own ‘investigation’. The fairness of Judgement is diminishing. At last the judiciary systems of our country will became a play field of politician, powerful people and richest man. this is not fair..may be the Foreign Minister is OAG cousin or through marriage.. he helped FM a lot… This OAG made the Dasho Naten Zangmo useless. Dasho Naten never commit such mistakes… I salute her.. be alert dasho and do something in this la.